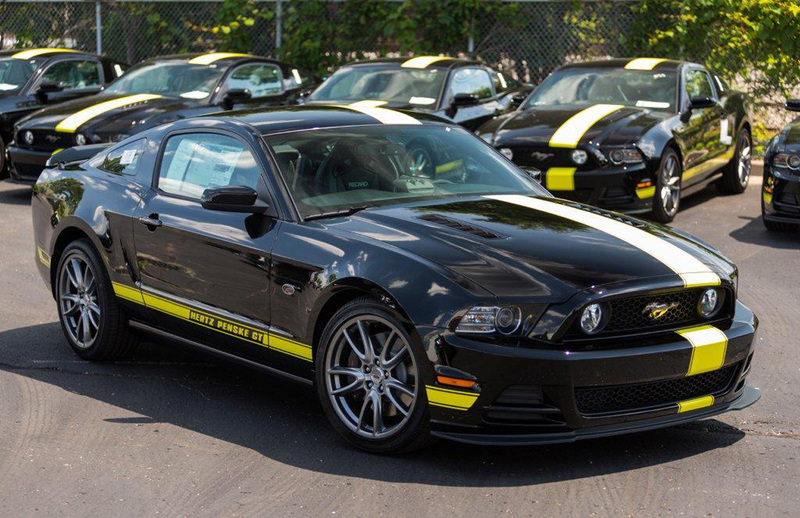 BRIGHTON, Mich. - Hertz has recently introduced a limited-edition Ford Mustang GT. This Mustang is a limited-edition version of the Ford Mustang GT and premiered at last weekend's NASCAR races in Daytona. Officially called the Hertz Penske GT, this vehicle will join a fleet of American muscle cars available to rent at select U.S. airport locations from Hertz. This fleet of American muscle cars is known as the Hertz Adrenaline Collection, which gives drivers an opportunity to feel the thrill of driving a great car - such as the Mustang GT. 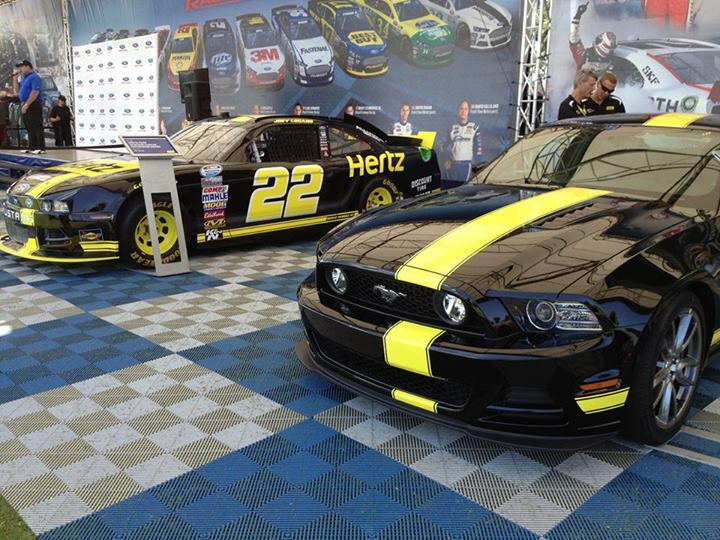 The Hertz Penske GT has a 5.0 liter V8 engine and has a variety of upgrades from the current widely available Ford Mustang GT. A few of the bigger upgrades to this limited-edition vehicle are a Quad-Tip Exhaust System and 3.55 gears; for the interior, there are black Recaro racing seats and Ford's touchscreen entertainment system; and for the exterior, the Hertz yellow racing stripes, upgraded suspension and handling, and custom graphics package. Hertz introduces this limited-edition Ford Mustang GT shortly after announcing its new partnership with Penske Racing in NASCAR. If this limited-edition GT has you inspired to check out the new Mustangs, take a look at our 2013 Ford Mustang Brochure. It's a beautiful vehicle and one you definitely have to see for yourself! So come on in today to our New Hudson Area Ford Dealership and take the 'Stang for a test drive. We also have a wide selection of New Ford Trucks and Certified Preowned Cars For Sale, so come see us today! Brighton Ford is located at 8240 Grand River Ave. just north of I-96 in Brighton. We are a family owned and operated business that strives for customer satisfaction. For more information on Brighton Ford visit BrightonFord.com or give us a call at (800) 836-8206.